A green canopy makes for a serene final resting place in The Kingsway neighbourhood. 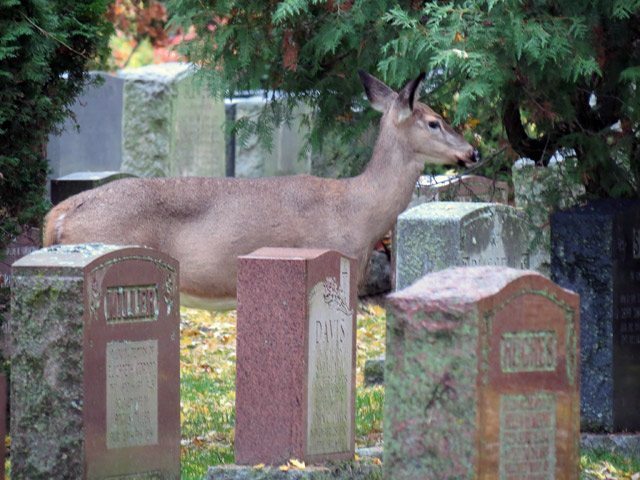 The mock graveyards decorating residential lawns this Halloween bear little resemblance to Toronto’s real cemeteries, which, actually, are full of life. 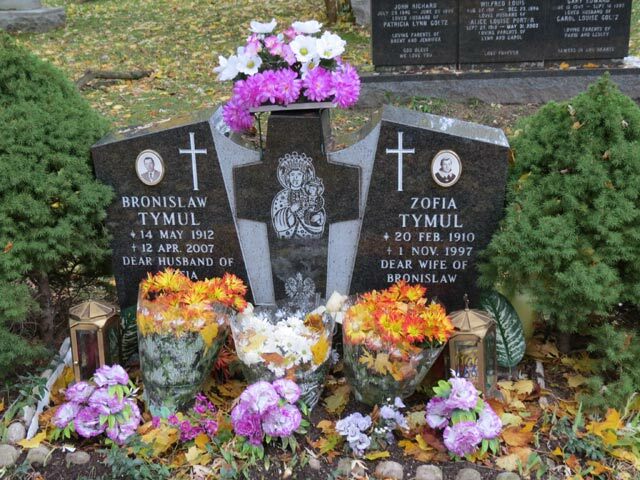 As we did last year, over the course of this week, we’ll visit some of the city’s most interesting final resting places. Nestled south of Bloor Street between the Kingsway and Bloor West Village, Park Lawn Cemetery fits nicely with the green parks lining the Humber River. You could spend hours wandering its grounds and enjoying the flora and fauna. 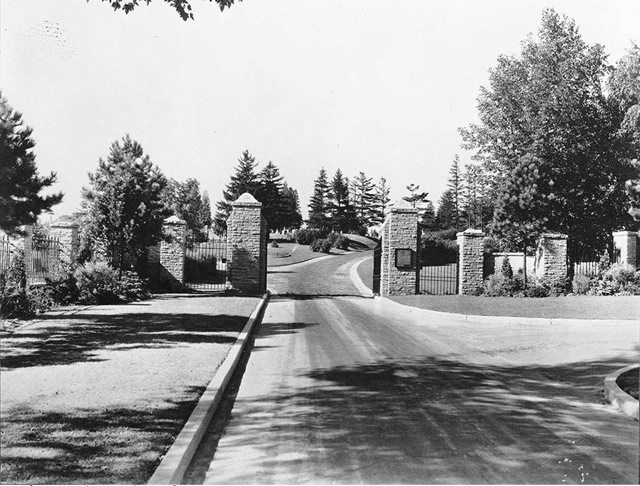 Park Lawn Cemetery entrance, circa 1941. City of Toronto Archives, Fonds 1568, Item 460. The graveyard opened in 1892 as Humbervale Cemetery. Funding came from stock sales, with many of the shares held by local farmers. 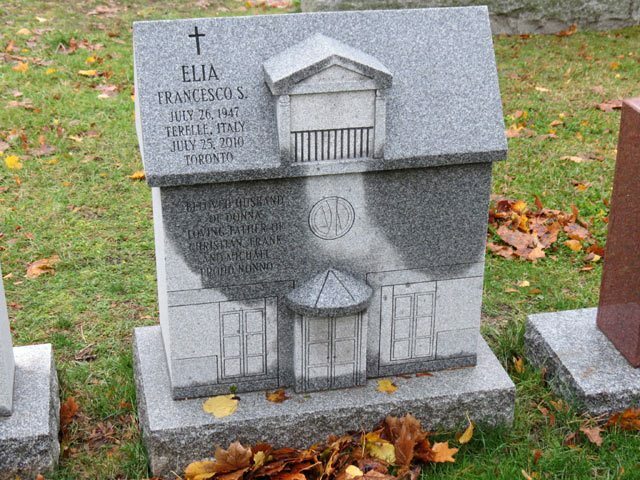 The cemetery was sold in 1912 to a purchaser who promised to maintain the graveyard, but whose true intentions were to transform the property, including the sections occupied by the dead, into a subdivision. The cemetery’s defenders were victorious. The property was sold in 1915 to the Park Lawn Cemetery Company, who gave the site its current name. Park Lawn is almost completely covered by a canopy of trees, making it a beautiful place to wander on a fall day. Instead of private crypts and extensive landscaping, it has an attractive natural beauty that appeals to humans and other large animal species. 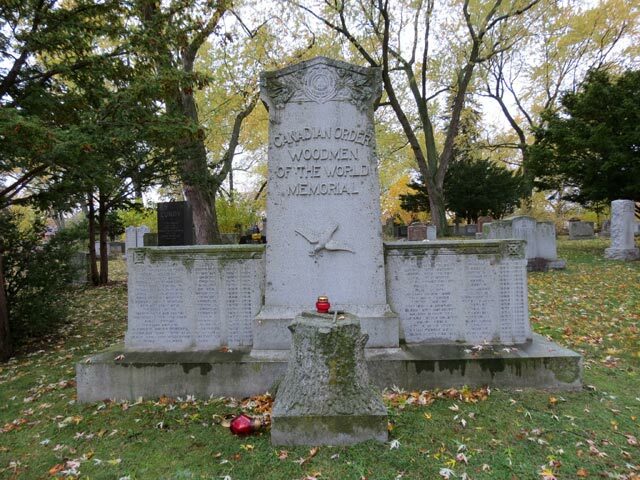 A large number of Toronto sports figures rest here. Maple Leafs owner Conn Smythe probably still curses fellow Park Lawn resident Harold Ballard for removing a portrait of Queen Elizabeth II from Maple Leaf Gardens to install more seating, soon after Ballard bought the team. And there likely aren’t any kind words exchanged between Smythe and Harvey “Busher” Jackson, one-third of the Leafs’ “Kid Line” during the 1930s. For years, Smythe blocked Jackson’s election to the Hockey Hall of Fame, because of Jackson’s supposed character flaws. When voters overlooked Jackson’s alcoholism and womanizing to admit him in 1971, Smythe resigned his presidency of the Hall of Fame. Smythe’s beyond-the-grave battles are probably being chronicled by Lou Marsh, the Star sports editor whose name graces the trophy awarded annually to Canada’s best athlete. Other notables include writer/broadcaster Gordon Sinclair, politicians Stanley Haidasz and John MacBeth, and musician Jeff Healey. 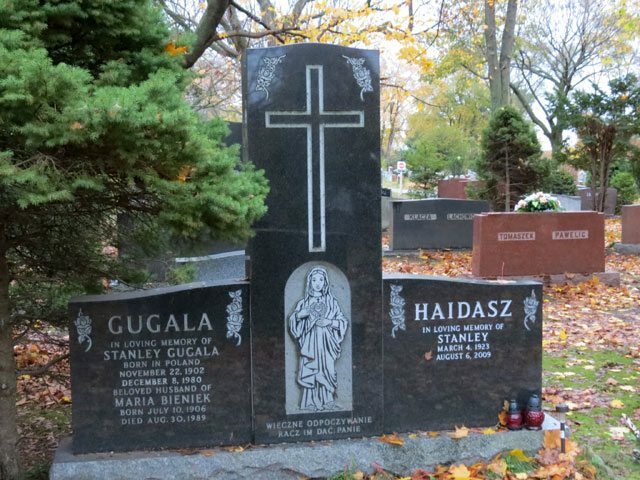 Park Lawn is a prime spot for the local Polish and Eastern European community’s observations of All Saints Day. The grounds were filled this week with those placing flowers and lit candles on the graves of loved ones. Additional material from Etobicoke From Furrow to Borough by Esther Hayes (Etobicoke: The Borough of Etobicoke, 1974), and the October 21, 1913 and June 24, 1914 editions of the Toronto Star. Photos by Jamie Bradburn/Torontoist unless noted.